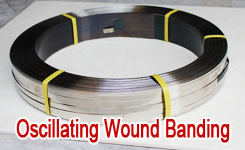 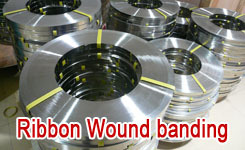 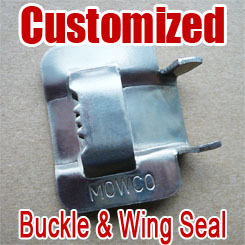 MOWCO makes round safe edges with bright finish to our stainless steel banding products. 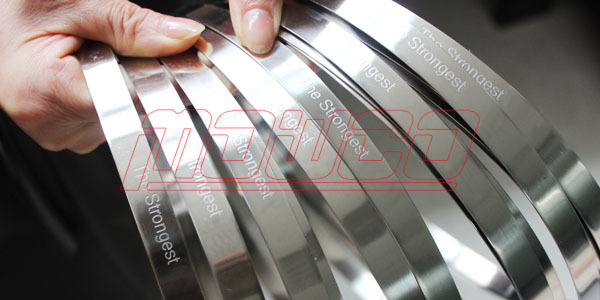 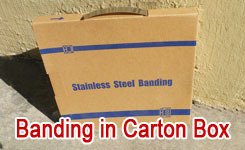 We can emboss your brand, logo, or company name onto stainless steel strap accordingly, with fixed internal space along the whole roll length, making sure each piece of band cut will be with an marking. 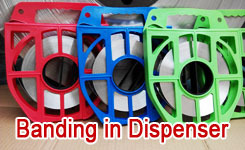 The embossments helps a lot for brand promotion as per our marketing experience in this field for so many years. 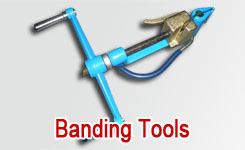 The potential users can get your brand or company name from every piece of band applied in various projects. 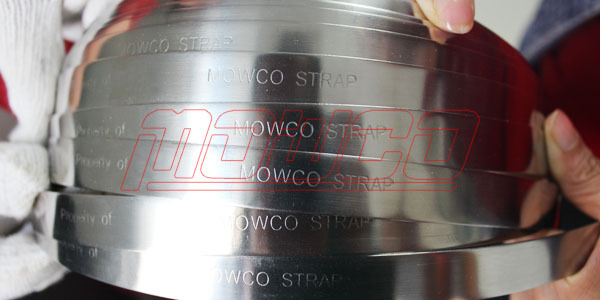 And, if the quantity reaches 1,500 rolls, MOWCO can print your LOGO and company name on carton box ( including inner box and outer carton ) as per your requirements.